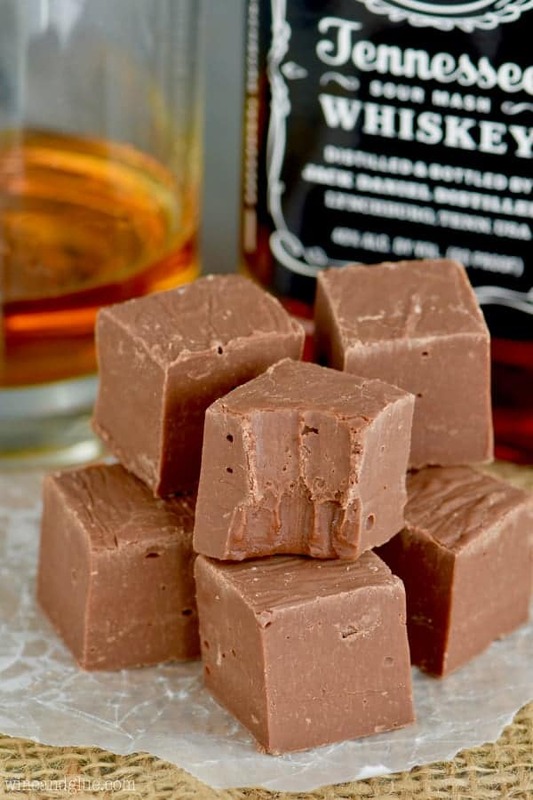 This Jack Daniel’s Whiskey Fudge is your favorite liquor and chocolate COMBINED! 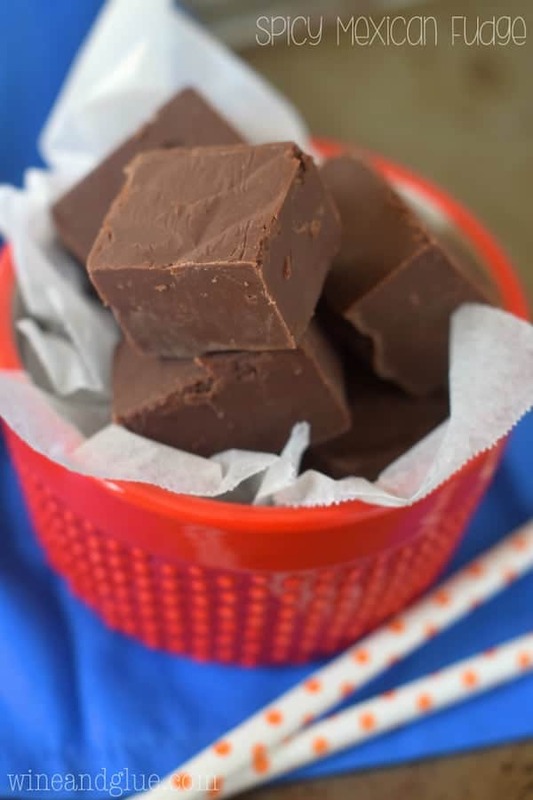 Make this easy homemade fudge recipe with condensed milk in five minutes! It’s so fast and delicious. You won’t be able to eat just one piece. 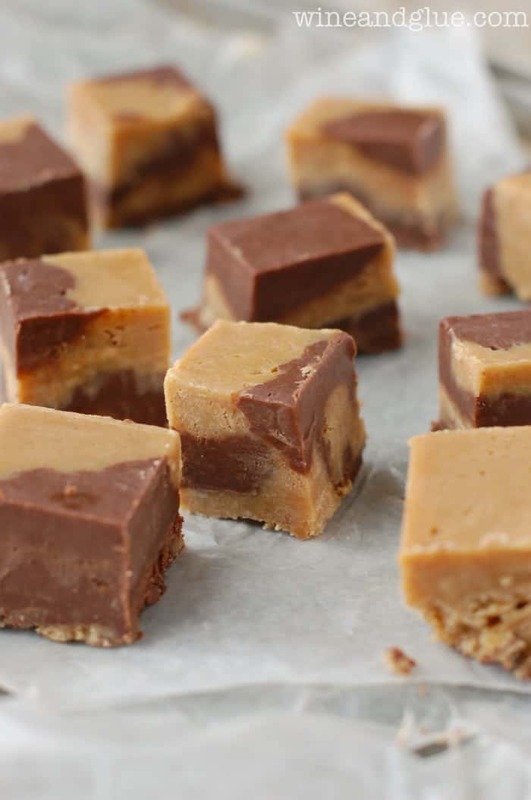 If you can’t get enough of boozy fudge make sure you try this Bailey’s Fudge and this Chocolate Amaretto Fudge! 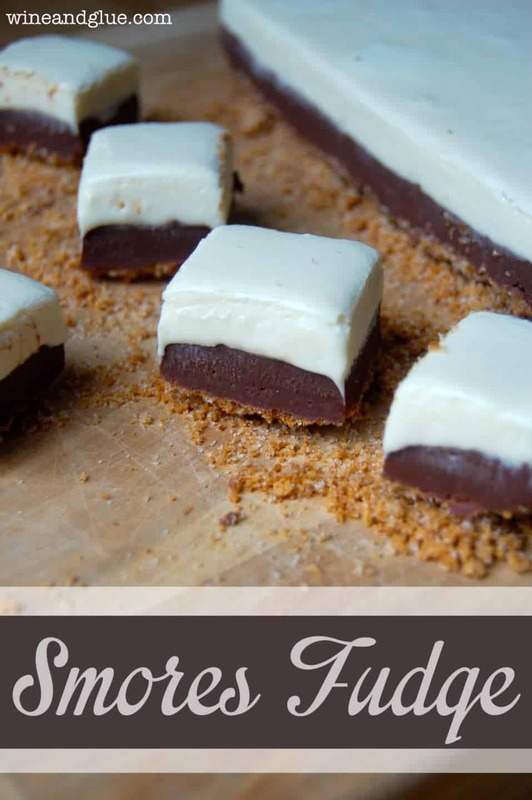 For even more great easy fudge recipes make sure you look at these 25 easy fudge recipes. 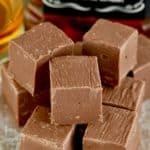 One of my most popular recipes this time of year is my Bailey’s Fudge. Actually, all of my fudge recipes are really popular this time of year, but especially the Bailey’s Fudge. Guys. People like their liquor and their chocolate together. Maybe a reason why this Red Wine Chocolate Cake is so popular. 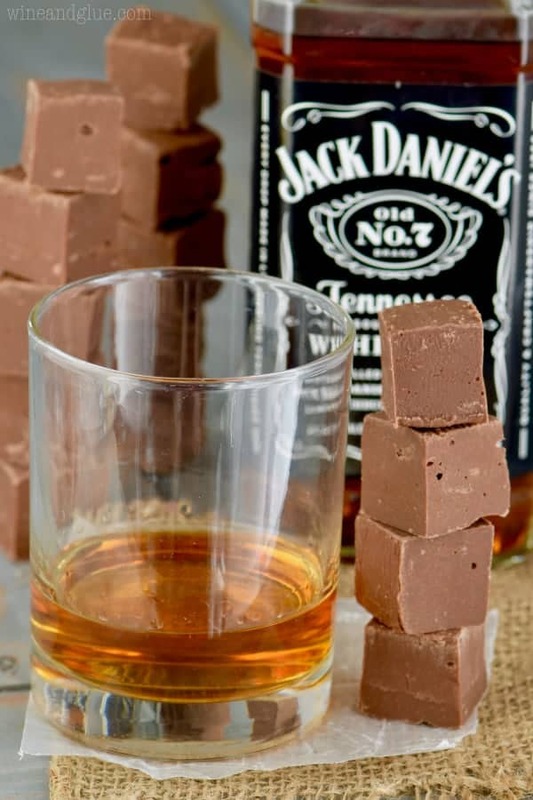 I recently got a comment on my Bailey’s Fudge recipe from someone asking me to make Jack Daniel’s Fudge. And I was immediately intrigued. Also . . . . at the risk of all of you coming together to start an intervention for this weird blogger stranger who’s posts you sometimes read . . . . I started another blog . . . . that is only cocktails. Shake Drink Repeat is my new little fun side hobby because I have an abundance of free time. Guys. I like sarcasm too. SDR is a work in progress, but my hope is that in the future (read: After Christmas when I have more time), it will be the home of tons of fun and obscure cocktails that you can play with at home. Let’s talk about this fudge! 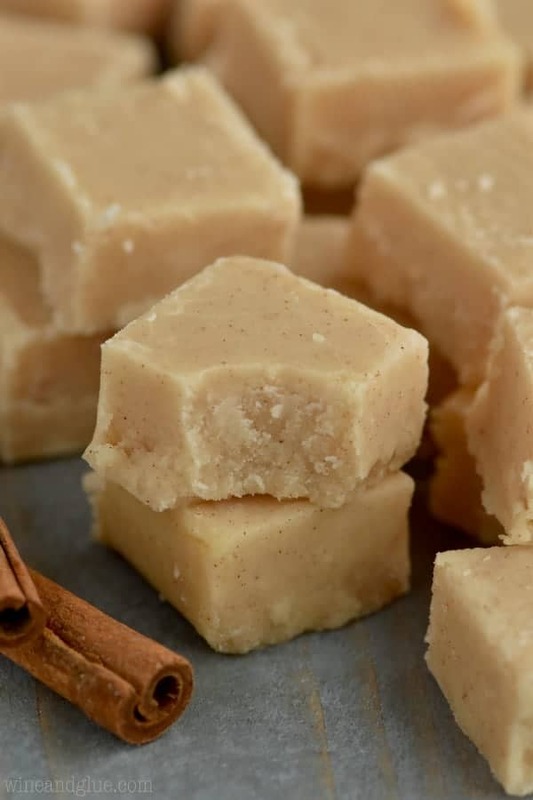 The key to making an easy homemade fudge is to start with sweetened condensed milk. The basic ratio is 14 oz sweetened condensed milk to 3 cups of chocolate chips. But when you start throwing in other liquids (like whiskey) or other things (like Nutella) you have to tweak things a little bit. Make sure that you stick to the recipe. I know, this is not a novel idea, but it’s pretty important. When you measure the sweetened condensed milk, use a glass measuring cup and measure to the 8 oz mark. Do NOT use the whole can. Make sure you buy SWEETENED CONDENSED MILK. It looks incredibly similar to the evaporated milk, but they work very differently. Your fudge will not set if you use evaporated milk. Before cutting this fudge, stick it in the refrigerator (covered) for an hour. It will make it cut much more smooth. To get the crisp edges you see on my fudge, I actually used a pairing knife and sliced of a tiny bit. You don’t need to do that if you aren’t a food blogger. It still tastes great with rough edges. If you are looking for more easy fudge recipes, make sure you check out No Fail Orange Creamsicle Fudge. 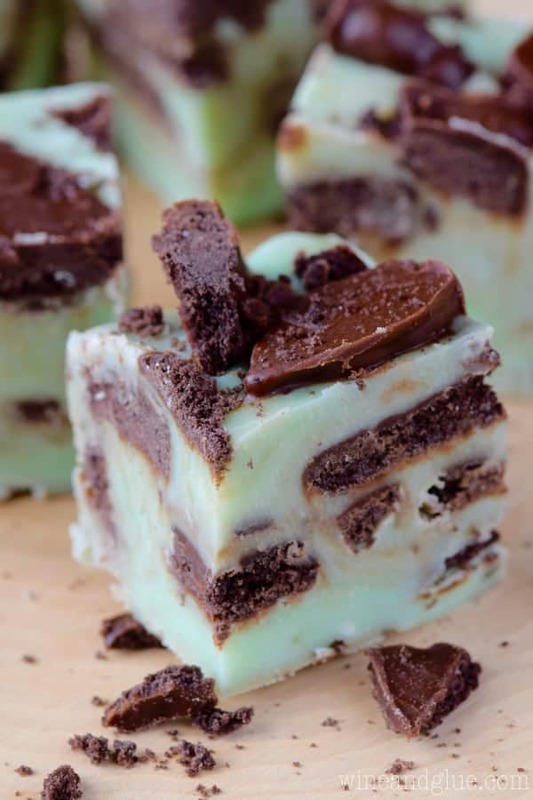 This Buckeye Fudge looks melt in your mouth amazing! And I love how pretty this Hot Chocolate Fudge is! 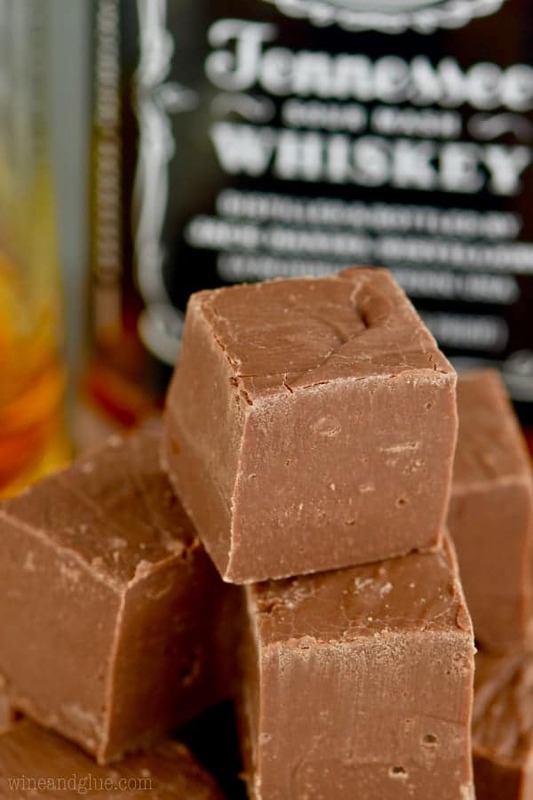 This Jack Daniel's Whiskey Fudge is your favorite liquor and chocolate COMBINED! 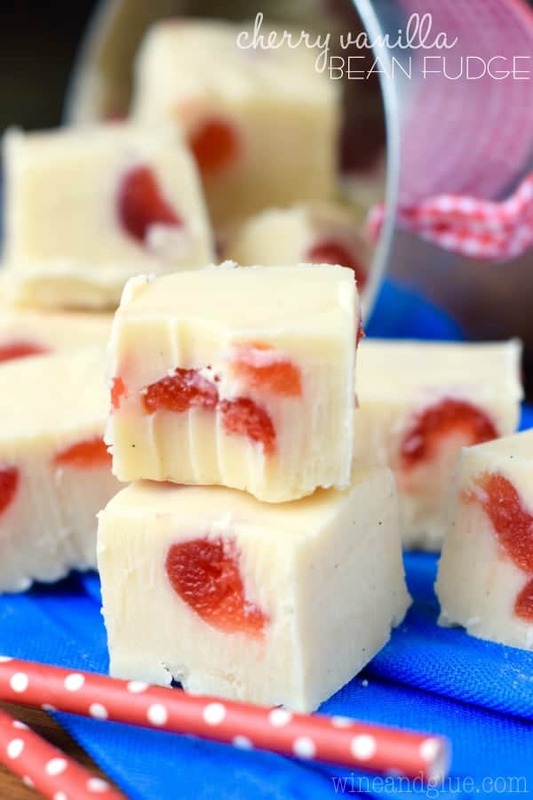 Make this easy homemade fudge recipe with condensed milk in five minutes! In a large bowl melt the chocolate chips in the microwave according to package instructions. Stir in the sweetened condensed milk, the vanilla extract, and the whiskey. Pour the mixture into the baking dish. Cover with aluminum foil and let set completely (about four to eight hours). Refrigerate for 1 hour before slicing. This last step of refrigeration is optional, but makes the fudge slice nicely. Enjoy and store in an airtight container for two weeks. Make sure you measure this out. A can from the grocery store is 14 oz and more than you need. Also make sure you are buying sweetened condensed milk and not evaporated milk as they are on the shelf next to each other and that is an easy mistake to make. Well, I *was* going to make your eggnog fudge to giveaway as gifts…but this changes everything. I just might have to make both! I made the eggnog it is to die for on our second batch , to give away ,,,,hope it makes it out the door, use hand mixer works great easy on the arms. How many grams is a cup please.using uk measurements to work out quantity of choc chip! Many thanks. Sign me up for a whole batch please! In all your spare time, SDR….wow. Amazing. Bravo!!! We’ll see how it goes ???? I haven’t tried it with Fireball, but as long as you keep the quantities the same, it should be fine! Sounds delicious! 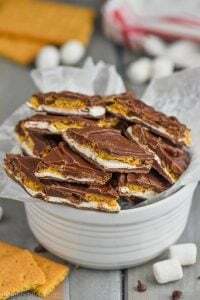 I love to surprise my husband (aka the Redneck) with special gifts, and I know that making this with Jim Beam will make a wonderful gift–thank you for the recipe! A friend had shared this recipe with me because of a song we had done last year called Chocolate & Whiskey. Sounds like we were all on the same wavelength! Here is a clip of the song for you! Merry Christmas and Happy New Year! OMG I love this song!!!!! And it’s so true! I love the song. Any chance I can get the music. I’m hearing a ukulele playing that song. It fits me to a T and I so want to do a parody for a situation that I have coming up. You say do NOT use the whole 14oz can but then you say measure to the 8 oz mark on a measuring cup…..they are one in the same! I promise you it is not. Yes, 14 ounces do not become 8 ounces, no matter how you pour them. 😉 I may have to try this! Hubby already likes Jack Daniel’s …. Some measurements on food products are weight and some are volume. 14oz volume would not weigh 14oz. Can you use 1/2 cup of Jack Daniels? If I did what would happen? I have everything to make it with but I want to see if 1/2 cup will work first. You definitely can, but it might not set properly. I made it with 1/3 cup of Jack. It turned out great. Thank you. How can 14 oz. and 8 oz. the same? The can is sold by weight. The recipe calls for -fluid- ounces, or volume. Sweetened condensed milk is heavy. Think of the riddle about which is heavier, a pound of bricks or a pound of feathers. Obviously, the weigh the same, but it takes a lot more feathers. The volume of bricks versus feathers is different. But it’s still a pound, by weight. In this case, the sweetened condensed milk is on the brick side of the comparison. A 14 oz can is by weight, by volume it is 1 1/4 cup, 10 oz. the woman said DO NOT use the whole freakin’ can!! whilst making mine, i’m still reading some of the other comments and OMG! That would be completely incorrect. 8pz is a cup, not 14, that’s almost 2 cups. I would like to use unsweetened cocoa powder instead of chocolate chips. How would I adapt this recipe and the others? I’m sorry, I don’t have a good answer for you. This recipe really requires the chocolate chips. UNSWEETENED CHOCOLATE CHIPS ?……OR SWEET? I used milk chocolate chips, but you could also use unsweetened. It’s just a matter of preference. If you will read in a cookbook, it usually tell you how to substitute cocoapowder and shortening to replace other types of chocolate. You just leave it out on the counter to set and then refrigerate after that? It fully sets on the counter top (or the fridge) but it will slice better if you put it in the refrigerator first. Lisa, The recipe calls for 3 1/2 cups of chocolate chips and to melt it in the microwave according to the package instructions….well the package instructs us to only melt 2 cups of choc chips at a time. I did the whole 3 1/2 cups at one time but think maybe it was for too long, as it didn’t completely melt in the allotted time suggested for 2 cups, so I kept doing 15 second intervals…by the time I got the milk, vanilla and whiskey into the melted chips, it turned lumpy. I’m sure it will taste okay but it is not pretty. Any suggestions for next time? I cooked it all at once, and then you just want to not over cook. It won’t melt totally on it’s own, and you want to do a lot of stirring to help it along. Had the same thing happen to me on the first batch I began yesterday. I melted 3-1/2 cups of chips, just to the point I could not detect any chunks. I added the eagle brand and boom clumps, hard to stir, added Jim Beam and Vanilla worked it till I could pour it. 8 hours on the counter, not set, 9 hours in the fridge about the consistency of thick peanut butter. Can;t cut it I just pushes all over the place. Thank goodness I have enough for another try. SO just to have a better run, I melt the chips with all the wet ingredients together.Right? Just to clarify, you for sure only added 8 oz of the sweetened condensed milk and it’s *definitely* sweetened condensed milk and not evaporated milk? Those would be the biggest reason that I could imagine not setting. I melt my chocolate chips completely before adding the other ingredients. I had he same problem. I measured 8 wet ounces of sweetened condensed milk into my measuring cup. It took the entire can, my hand to god, and never set. It tasted really good, but 12 hours later it was still way to soft to be fudge. I’m wondering if you are using a dry 8 ounce measure instead, or by weight? I will try that on my second attempt. It’s 8 fluid ounces. I poured the sweetened condensed milk into a glass measuring cup until it reach the 1 cup mark or 8 ounces. I’m so sorry this didn’t work out for you. Use a double boiler to melt the chips. Do not use a microwave. Steve, I was going to suggest the same thing. It’ll cook more evenly on the stove. We don’t have a microwave at home, so I find myself trying to adapt a lot of recipes online that call for nuking a thing. I put the chocolate chips, sweetened condensed milk and vanilla in a make shift double boiler( glass bowl in a sauce pot) and melted it that way. I Like it better. I can control the heat. tHe exact same thing happened to me. The chocolate was completely melted but turned lumpy when I added the other ingredients. after it was set you could still feel the lumps. felt like it had choc chips in it. Enjoy right away, and store up to 2 weeks. Thank you, making it today. Two batches made in anticipation of my adult sons’ holiday arrivals! Followed the recipe but first batch is milk chocolate w/ Maker’s Mark and second batch is semi-sweet chocolate with FIREBALL! ???? Bowl scrapings tasted amazing! Look forward to serving it up on Christmas Eve! I hope you guys love it! Tell me how it tasted with the Fireball! What if I want to really up the JD content? More to the tune of a half cup to that same amount of chocolate. You can try it! But you run the risk of it not setting. Did it set right? Or what adjustments did you do to make it work if i may ask?? Hi is it 3 and a half cups or 1 and a half please? It is 3 1/2 cups of chocolate chips. Milk chocolate chips instead of semi sweet??? I made these yesterday and tried them today, they were so goood! Such a simple recipe for an amazing taste. It’s very sticky though, the chocolate leaves marks on fingers.. I keep it in the fridge,it’s still a lovely texture,but not sticky. For those of you wondering about melting the chocolate, I melted mine the same as other fudge recipes suggest – 3 minutes stirring at the minute marks. Then 15 second intervals after that if the chocolate is not smooth yet. Mine worked perfectly. On the whiskey fudge have you ever added nuts? I think pecans would be great. Especially toasted pecans. Excellent fudge! Quick,easy and tasty! In regards to cutting it,I used a pizza cutter,which gave the pieces that nice sharp edge,and was very quick. I also melted the chocolate over water,which seems to work better for me as you can continually stir it,but that’s just a personal preference.I used half milk chocolate and half semi-sweet,just because I wanted to use one pack up. Would it be possible to use j and b rather than j.d.? I attempted this recipe and followed it exactly as noted above, including using sweetened condensed milk. My result during mixing was a mixture that almost immediately begin to lose its gloss and then as I mixed it more because all the ingredients were not fully integrated, it became this granular looking mixture with excess liquid sitting on top. I’m wondering what I did wrong. First, I’m so sorry that this didn’t work for you! Nothing frustrates me quite like a recipe not working for a reader. Based on what you said, I’m thinking that chocolate might have been over cooked. It’s super easy for it to happen. I’ve made tons of fudge recipes dozens of times, and it still happens to me. I would suggest that next time you make it on the stove top, melting the chocolate over low heat and stirring regularly. Then remove it from the heat, add in the other ingredients and pour it in the pan to set. Good luck! You somehow had water in the mixture somewhere ( possibly even moisture got into your chocolate) … Even a small amount in the mixing bowl will cause the chocolate to clump up. Always use fresh, dry ingredients and tools when working with chocolate. DO NOT keep refrigerated before using. If your mixture seizes up, it is definitely because some water got in. I make a brownie recipe that calls for a top layer of butter and chocolate. I had this happen and finally realized it was because I had frozen the butter – defrosting it added condensation and thus moisture. I don’t know why anyone would – but perhaps the chocolate chips had been frozen? You can have it set out on the counter or in the fridge, though it is a little easier to slice if it is chilled first. can you use rum instead of whiskey? I haven’t tried that, but if you do, let me know how it goes! I definitely need to try it with the honey! I pour mine into mini muffin tins with liners, which makes the perfect serving size and no cutting required. This recipe sounds divine… however , due to my fave being Honey Jack I will use that instead and hopefully get the same awesome results ! Can you replace the jack with red wine or do you have a red wine fudge recipe I’m not seeing? My wife and I are hosting a wine party so thought that this would be a nice dessert wine pairing. Thanks! That sounds super interesting. You could replace it with wine and it would likely work, but I don’t know if the wine flavor would be strong enough with that small of an amount. My husband is allergic to chocolate -I know I know!! !- so wondering coukd Ghiradelli white vanilla chips work as well? The only issue with white chocolate chips is they seize much easier than actual chocolate. So you might have to play with this recipe a little. I would try with a cheaper brand the first go around. I am diabetic, have you ever tried to make this with Spend a instead? I personally wouldn’t recommend making this with Splenda. 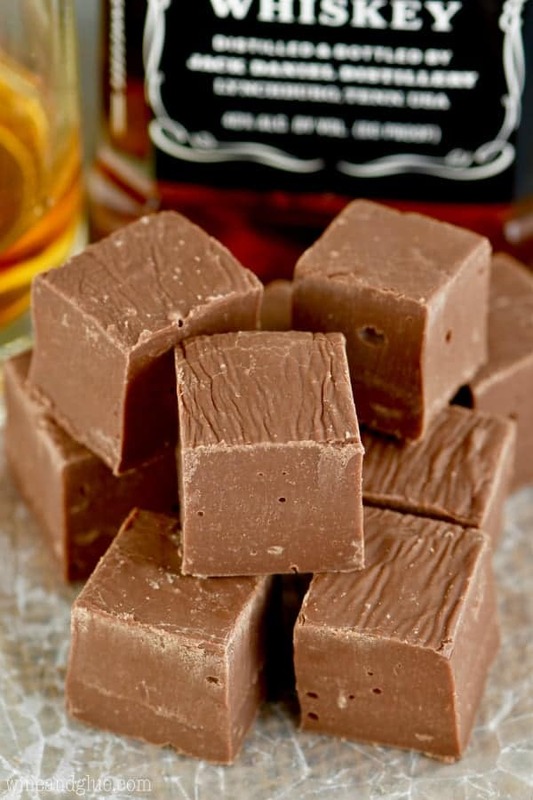 I’ve come across your recipes…I have a love for cookingand baking…Im excited to try this jack Daniels fudge my best friend/sister-in-law loves jack so what a great idea she will love it and she’s been wanting some fudge..thanks !!! I hope you both love it Adrianne! I like dark chocolate as opposed to milk chocolate. What chips would you recommend? Thanks in advance. If I were going to make this with dark chocolate, I would go cheap and just grab a bag of chips in the baking aisle. If I was making it for someone special I would buy some Ghirardelli chips. How about a Fireball fudge. Would that work? I’m so happy to hear that Kate! 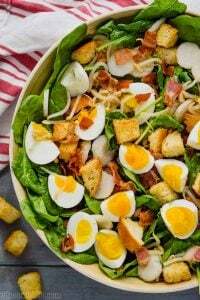 This recipe had me scouring your site for an hour saving recipes. I look forward to many more! Thats the best compliment Stephanie! 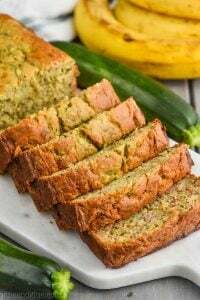 How would I adjust the ingredients to make a 9×9 pan? I probably wouldn’t, Alice. I would probably just make a slightly thinner fudge. I’m so happy you liked it Jeff! Why doesn’t someone figure out what the measurements would be to use a whole can of sweetened condensed milk . It would use the whole can and you would have more fudge, win win! 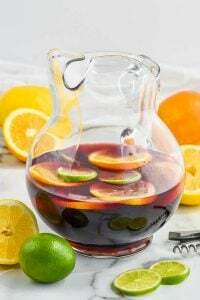 I want to try this using Captain Morgan Rum. Same requirements for ingredients? Should be exactly the same! HEY, This recipe sounds divine… however , due to my fave being Honey Jack I will use that instead and hopefully get the same awesome results ! Hi there! Can I use good quality belgium chocolate callets/chips in stead of normal chocolate chips? I haven’t tried it that way, but I’m sure it will be delicious! Thanx. Will give it a try and see if it works. ???? I haven’t tried this with white chocolate. I will say that it tends to seize really easily, so I’m not sure how that will work. Made it and it’s delicious, a little lumpy, but not too bad, but it’s very sticky and messy.. it’s solid but very messy any suggestions? Also, what’s the best way to ship it? I like to keep this one in the refrigerator because it keeps it more firm! Since there is a dairy allergy in our house, I made it with sweetened condensed coconut milk and Ghiardelli 60% cacao chips. It was difficult incorporating the JD into it, since it had siezed a bit after pouring in the whisky, but eventually, I got it all mixed in. I think the dark chicolate and mild coconut flavor overpowered the whisky, since we can hardly taste the JD. This is similar to a plain chocolate fudge recipe that i use. Except i just use chocolate cake frosting in a can mixed with a package of chocolate chips. The chips are no longer l6 oz any more but it still works. Sometime I don’t use the entire can of frosting. But the gist is that you just put it in a pan and melt the chips mixed with the frosting until the chips are all melted. Stirring almost constantly to make sure they are all melted…..You can add vanilla if you want, but it isn’t necessary…..just add nuts if you prefer and I do…..and then turn it out onto a pan (I use my toaster pan as it seems to be the right size, and it works best if you line it with foil and spray with non stick spray or butter)….let set until it is set. Or until it is completely cool and cut into squares. I love it it is so easy and I have experimented with different flavored chips, i.e., peanut butter for peanut butter fudge, etc. I made some with white chips and vanilla frosting this past week and it worked too, although it seems to be extra sweet. try it.